Established and recognised internationally, our innovative camera inspection systems make a decisive contribution to the quality increase in production processes. As a strong partner, we offer our customers outstanding innovative power and over 20 years of experience in the field of industrial machine vision. Our turnkey system solutions are used worldwide in more than 20,000 applications in more than 40 countries. Our customers rely on quality control worldwide with NeuroCheck. For the manufacturing companies of our customers, NeuroCheck provides economic advantages, because early detection of errors in the production costs is significantly reduced. This makes our customers future-proof and successful. 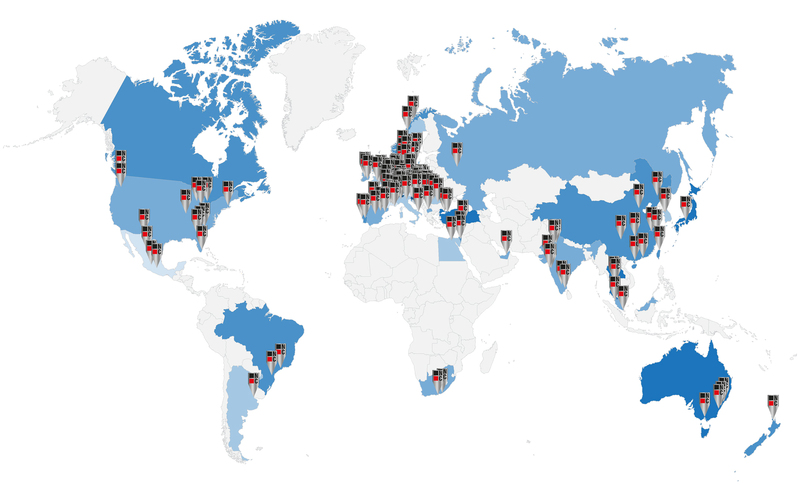 In the following countries production plants with camera inspection systems from NeuroCheck work.